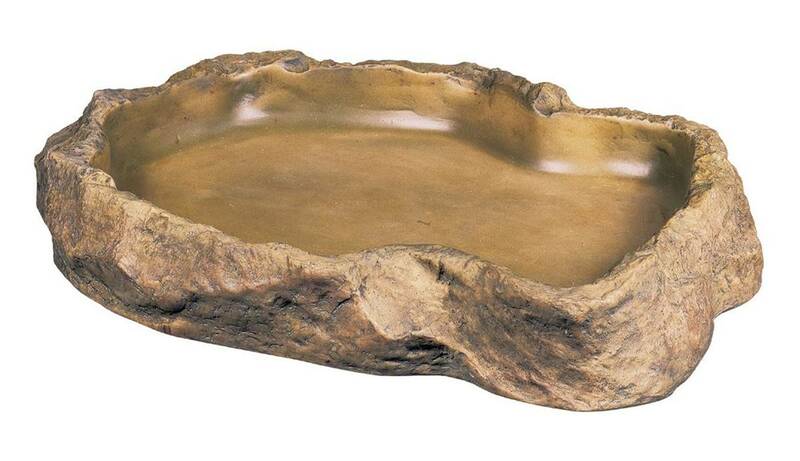 The Exo Water Dish has a very realistic and natural rock finish on the outside and a smooth non pitted surface on the inside. The Exo Terra Water Dish is coated to prevent the development of harmful bacteria and make it easy to clean. The neutral colour of the Exo Terra Water Dish enables it to fit in well into desert, tropical or any type of terrarium. Ideal for larger snakes, lizards, and dragons. Natural finish to fit into any environment. Ideal to sit or swim in.